This 10" Velcro type sunshade is designed to fit most 10.1" monitor units, particularly the Lilliput FA1014-NP/C, FA1014-NP/C/T, and FA1014/S models. It is designed to block out excessive sunshine from creating a glare on the monitor screens, as well as to make the visibility of the panel higher trapping out ambient light sources. 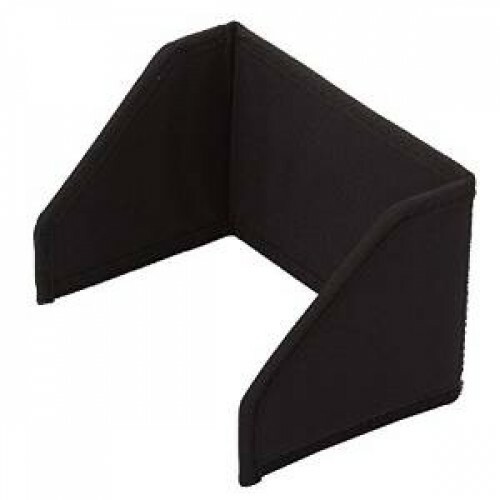 It attaches using Velcro straps which wrap around the back of the unit and are adaptable to the contours of the monitor, allowing you to use it with almost any 10" monitor unit.